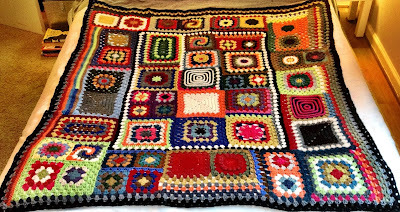 Crochet: Granny Square Sampler is Done! 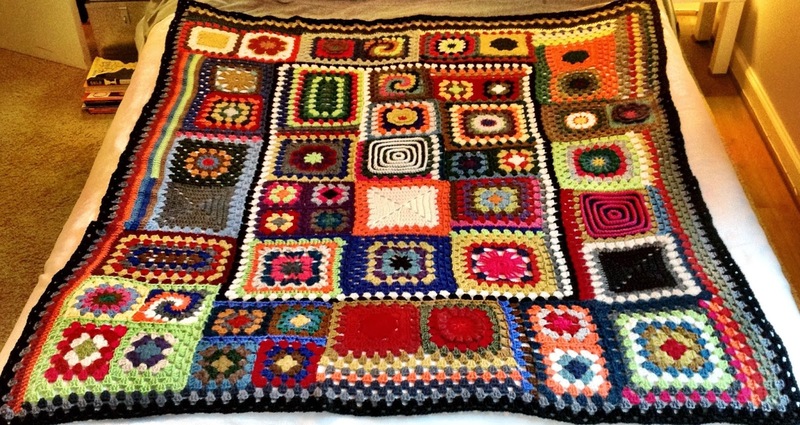 I finished my granny square sampler this past weekend! I absolutely love how it turned out. 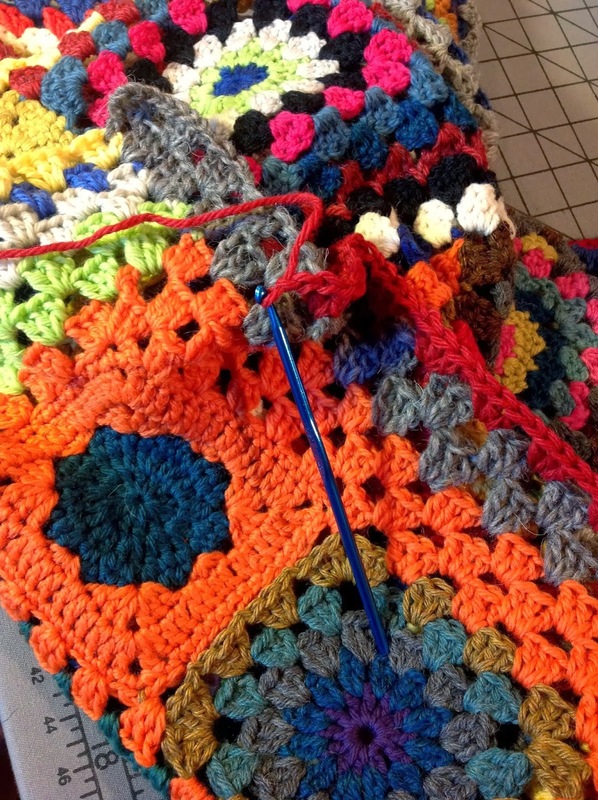 Thanks to Blair for organizing this crochet-along project, which started during the summer. 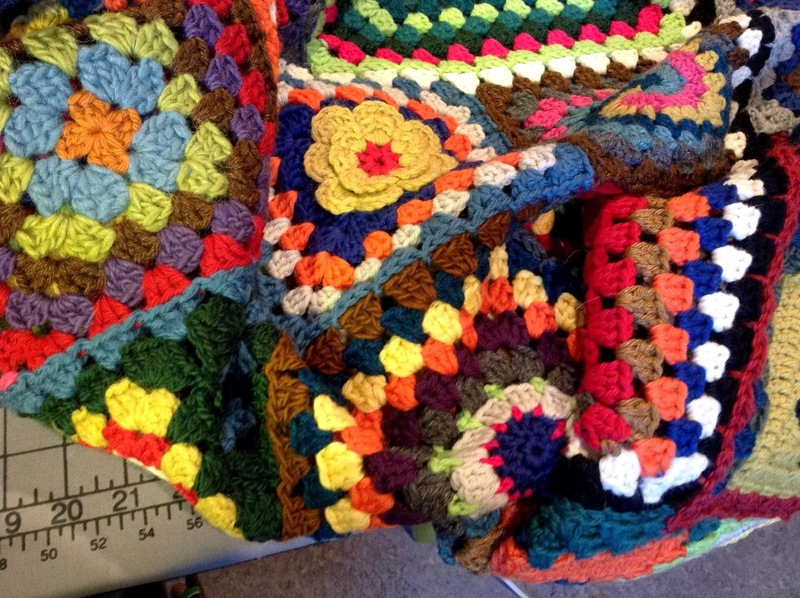 She posted a new granny square pattern every Friday and each weekend I would have a quick and gratifying project that was easy to complete. All the yarns I used were in my stash and I think the colors are a great representation of me. (Apparently most of my knitting has been done with grays, greens and reds.) After I had completed the inner rectangle, I started laying out possible patterns for the outer border and started connecting most of the squares in pairs first. I attached those pair to the inner rectangle and then just started filling in the gaps with rows of single or double crochet. The inner rectangle border is in white and black and the outer border is in gray and black. I had two squares that I did not use. 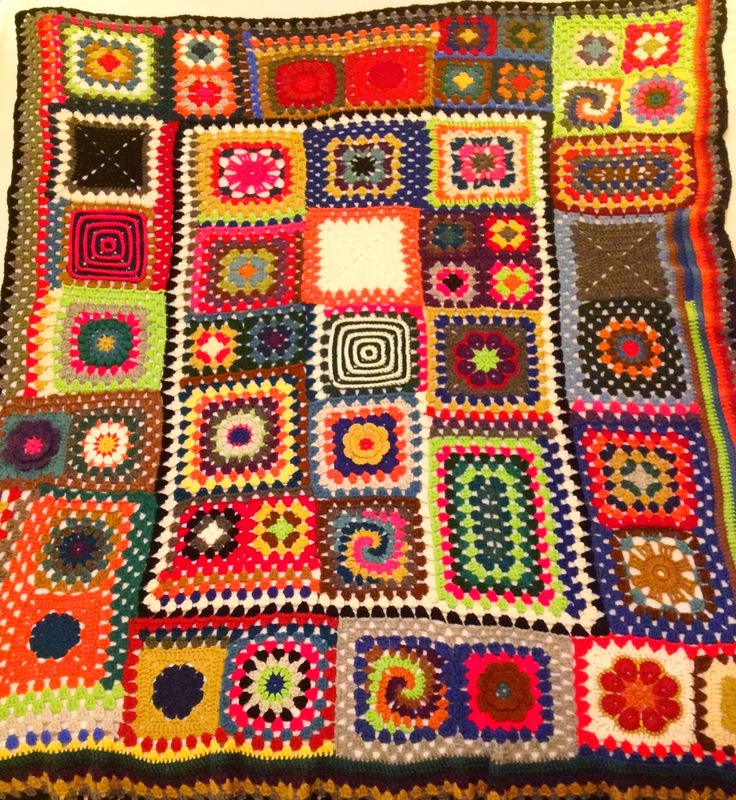 This afghan will be perfect on my bed as the weather gets cooler.